Life After U of T and Backpack to Briefcase: our alumni return to share their experiences. 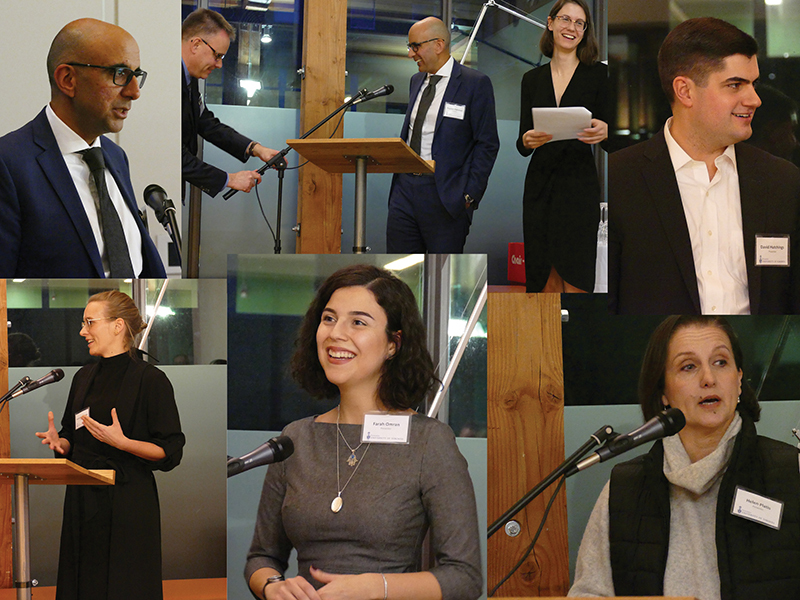 In a lively evening of discussion and networking, students were able to consider the challenges of navigating the transition to professional life by hearing first-hand experiences from previous students – and have the opportunity to ask questions of them directly. At the end of the event, many students and alumni adjourned to a local pub to carry on conversations that in many cases were only just getting started. While at this time of year Shannon Elliott emphasizes to current students that “now is the time to get serious about placement”, it’s clear that an integral part of the process is getting convivial about it as well. Interested in sharing your post-MA experiences with current students? We’d love to hear from you. 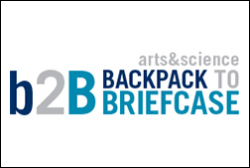 The Backpack to Briefcase program provides opportunities for students to meet, mingle and network with alumni and faculty members from their department or academic unit who are willing to offer guidance, career advice and encouragement. b2B networking events, panel discussions and mentorship meals give students the chance to learn from alumni volunteers and to discuss any questions or concerns they may have about life after graduation with people who have been in their shoes and succeeded. 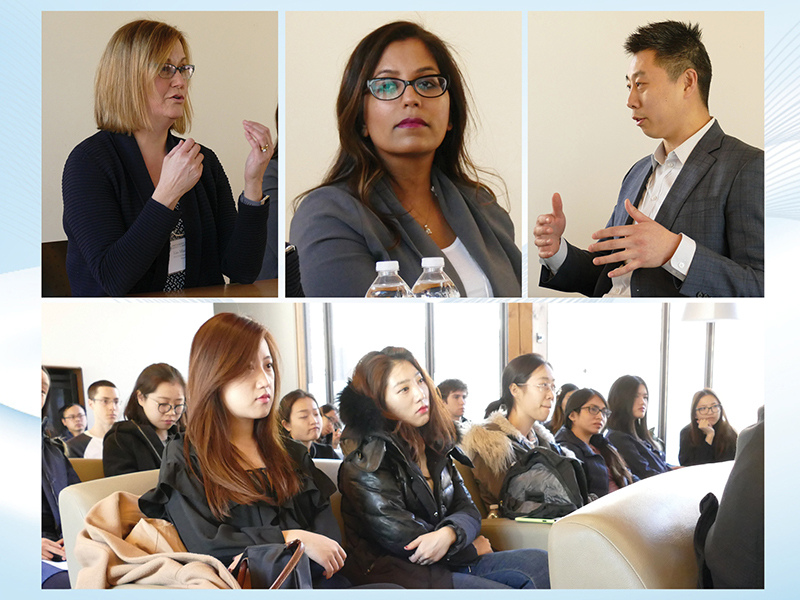 Our event took place in March 2018, with a panel of economics alumni discussing their U of T education, the value of their degrees, and their pursuit of successful careers. The panelists were candid about their experiences and generous with their advice – a reassuring mixture for those who had come with understandable apprehension about forging careers after graduation. There were also plenty of questions from students for these approachable panelists, and the opportunity to network at the informal lunch. Are you a U of T graduate interested in sharing your knowledge with those who are following in your footsteps? Find out how.